1. 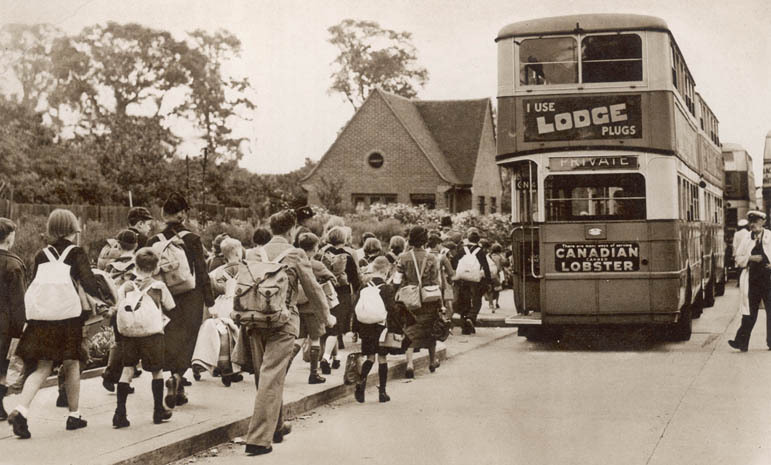 Our thanks to MICHAEL CORNELL, a regular contributor, for allowing me to include his memories of wartime in Henham. We had a doodle bug hit the village around the end of 1944; cannot be to sure of the date as I was only seven, but what happened to us and our house is still very clear. The first thing i remember is a loud bang and parts of the ceiling coming down on my bed, my parents were already awake and the light was on, so other things could be seen such as old birds nests and lose stuff that must have been there for hundreds of years. The house was around four hundred years old, my father then picked me up and a lamp and started to go down the stairs, when nearly at the bottom we could hear people laughing, we were not aware at the time that our front door had disappeared so we could be seen coming down the stairs. My father at that time always wore a nightshirt so we must have looked funny from across the road, the story raised some laughs around the village over the years. it just goes to prove even adversity can raise a laugh. a piece of the flying bomb which was found in Forres Cottage on the 25th Sept.
An evacuation journey often began with a walk to school. Then it was off in buses to the station, where special trains were waiting. It was quite exciting, but most children felt sad as they waved goodbye to their mothers and the steam train puffed away. 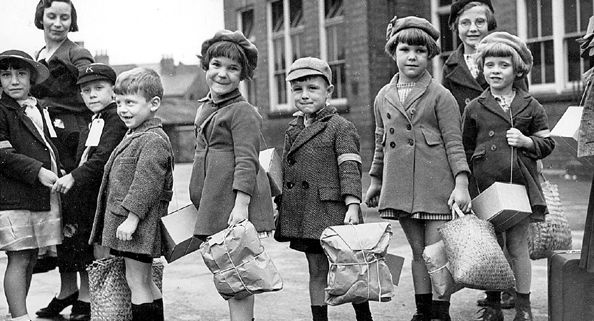 Every evacuee had a gas mask, food for the journey (such as sandwiches, apples, chocolate) and a small bag for washing things and clothes. Pinned to the children's coats were labels. 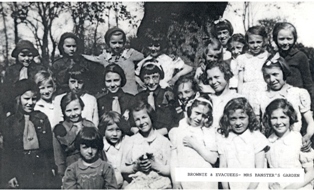 On the label were each child's name, home address, school and where he or she was going. Often the journey took several hours. 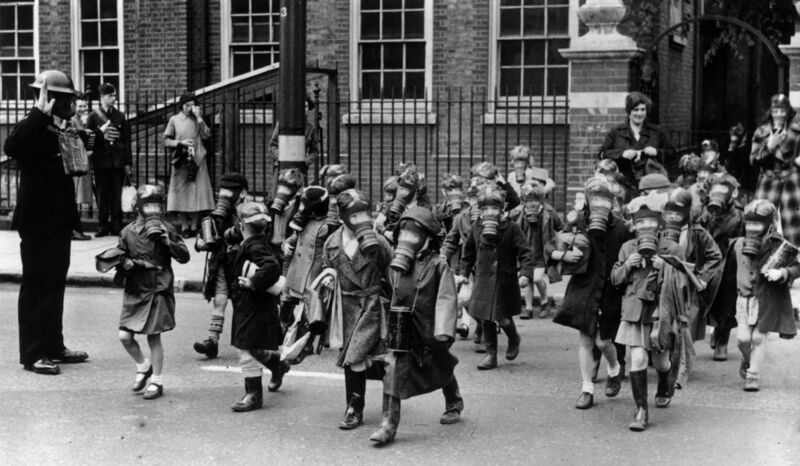 Schoolchildren practising evacuation whilst wearing their gasmasks. 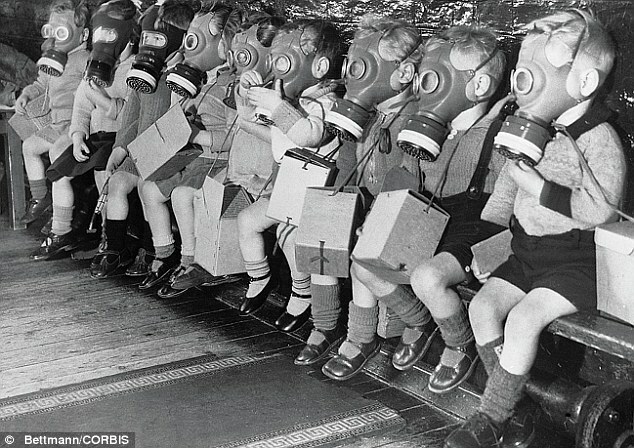 I can still remember the horrible 'rotten-egg' smell of the rubber in my mask. 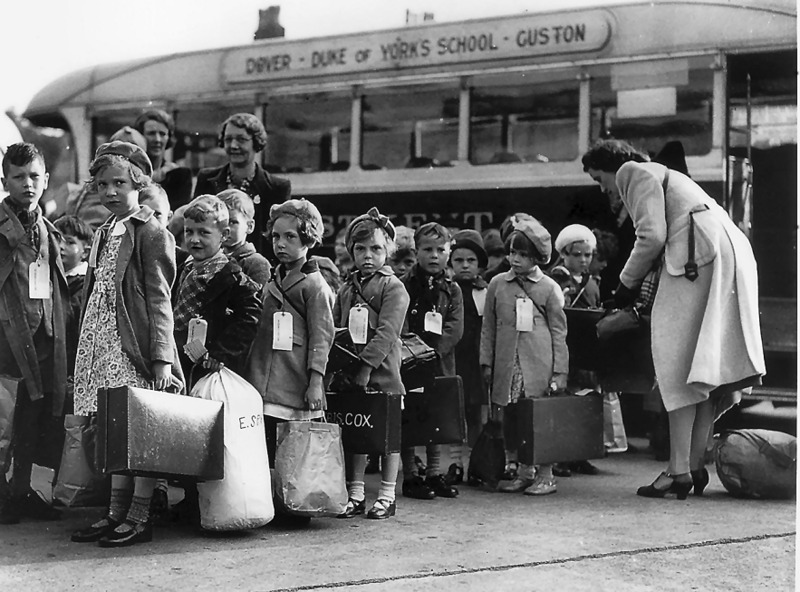 Sad-looking schoolchildren from Dover preparing for evacuation. Notice all the name-tags fitted to the coats. 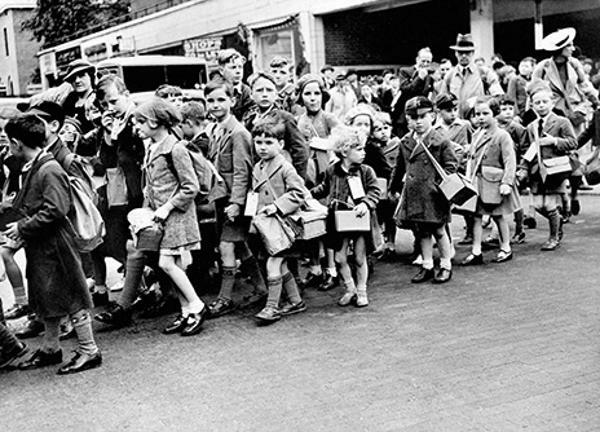 VE Day street party on the 8th May 1945. This photo was taken from near my house in Glenparke Road, Forest Gate in East London. 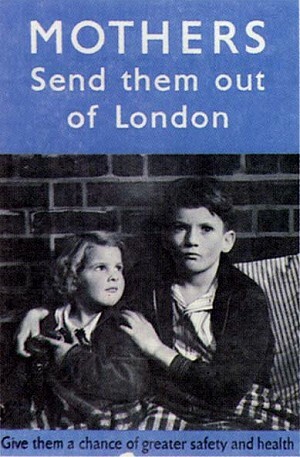 My mother and I had been evacuated from to Coggeshall after V2 rockets hit our street destroying or seriously damaging most houses. My mother had leant across my cot protecting me as the roof and ceilings collapsed across her back. That's me with a blue cross marked on my chest in the highchair at the end of the row of bench seats. I must be looking towards my family. I, at 50 weeks old, can still remember a couple of moments from that day - the smell of all the crushed and wasted food on my highchair wooden tray.